Satisfying customers and improving their interactions with your organization all comes down to how you manage your customer’s experience. The objective of most large companies is to focus on the best way to boost customer experience. However, sometimes efforts fall short for a number of reasons. There may be a lack of manpower or time in the workday to catch up with customers who’ve purchased or have shown some interest in buying your product or service. While some may be reluctant to use automation because of its impersonal nature, if it is done well, it can be both useful and personal. It is indeed one of those online marketing things that modern entrepreneurs must know. In this regards, we are sharing some of the steps you can take to ensure a good customer experience. Targeting some specific groups of buyers with the right messages improves the chances of purchase. However, don’t limit yourself to simple demographics like age, occupation, or title. You can also target leads by noting how they reacted to your previous campaigns, or what they do when they visit your site. Automation tools for the application of hyper-targeting doesn’t yet exist, but there are some app content management systems that are getting there. The absence of these tools will put a strain on the team (or more possibly, the individual) dealing with your app, as hyper-targeting could symbolize a key addition to the overall workload. Let’s assume that you are using emails in your marketing efforts. That is a good thing. However is it a one-size-fits-all approach? A study by the Direct Marketing Association found that triggered messages have a 119% higher click rate than other messages. That suggests marketers must be customizing precise messages to be sent in reply to visitor actions. Some examples of these would be a purchase confirmation, an anniversary or a shopping cart rejection. This is perhaps the biggest benefit of marketing automation. You know that the majority of people who visit your site are just browsing; they’re not prepared to purchase. However, down the line, there are many who will be. As long as you can get their details, with a bit of gated content using marketing automation to track these gated leads, you have a chance to set up a series of communications intended to take them through the buying process. Keeping their conduct in mind, you can score prospects from “cold” to “warm” so that your sales representatives can designate their time where it’s most fruitful. 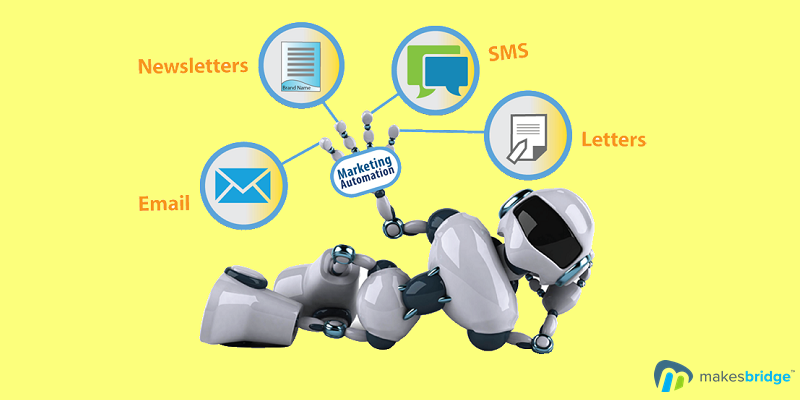 Data attained from marketing automation can be helpful in reactivating old leads. Building a database based on length of the buying process, website activity, activity level and email correspondence can be of great use when it comes time to reactivate old leads. In case these leads have been active in the past, yet have not communicated in more than 6 months, it might be time to recharge this bond with another campaign or offer. Yes, you read that right. The term “marketing automation” may evoke an idea of pushing prospects along an institutionalized, dehumanized process. All things considered, having access to an (abnormal?) state of data about individual behavior, interests and needs makes it simpler to customize communications and service to your clients. By giving the best practical advice, as well as training or offering enhanced features, your clients can get more out of their investment with your products or services. This can enhance the value of your brand, consumer loyalty and retention. By this I refer to the absence of measurement that regularly runs with social media campaigns. Last year, a Satmetrix study found that 67% of organizations don’t measure or evaluate social media engagement. For B2B organizations, this figure climbs to 75%. The different venders of marketing automation software try to solve this issue by giving integrated dashboards, which convey analytics over all platforms, including social media campaigns. Along with traffic, there is an emphasis on showing ROI, which helps you review which online marketing channels are working best.